Welcome to the first episode of the Student Voice Podcast featuring Patrick Twagirayezu, a longtime student voice advocate in Ontario. Patrick Twagirayezu is a student at the university of Ottawa studying Law and Political Science. He has been an active member of his community for many years. In education, he served as a member of MSAC Cohort 4, student trustee, and as President of the Francophone student trustees of Ontario. He is currently co-founder and president of Capital Youth Initiative, which aims to reduce youth poverty in the city of Ottawa. During the spring of my junior year of high school, I found myself standing face to face with Ontario’s Minister of Education. Admittedly, I felt out of place. Only a year earlier, I spent most of my weekends washing dishes part time at a local banquet hall, attempting to save up money for university. Had anyone told me then that I’d be standing in a room surrounded by student leaders from across the province, let alone speaking to the Minister, I would have chuckled. Nevertheless, a year later I was at my first meeting as a member of the fourth cohort of the Minister’s student advisory council, otherwise known as MSAC. Befittingly, this experience would be the crucible through which I came to form some fundamental views on the importance of student voice. We were 60 students, working to share their ideas on building a better educational system. We discussed everything from implementing financial literacy in the curriculum, to instituting “peer to peer” programs that would help young high school students adjust to a new milieu. We were even able to benefit from student research grants that could be used to execute projects to help improve our schools. I met some of the best friends I would ever make, and truly felt that I was making a difference. Customarily, the most difficult question we discussed was finding a way to engage students who were disengaged from their school environment. Solutions would start with the habitual mention of an eventual Facebook group that would change the dynamic between students and their school (weekly surveys, better access to student council and staff). Ensuing, the conversation turned to organizing social events that would make the school a second home for students, to which they could truly be connected. We would also tackle the problem of bullying, finding ways to make sure that every student felt safe within the community that constituted our schools. By the end of my senior year, I had served as a school president and student trustee. Through these roles, our team instituted the strategies to try and engage more students to proactively utilize their voice. Be that as it may, we weren’t able to engage everyone, which became obvious to me after three different conversations. The first lesson came in the form of a conversation with a younger student a few days before graduation. We were waiting for the bus and having a discussion about what a long year it had been. He thanked me for the work our student council had done to fight bullying but confided that he had been bullied all year and felt our anti-bullying campaign didn’t really help him. I carefully questioned him, attempting to better understand what he meant. He felt people bothered him about what music he listened to, the clothes he wore and mostly his love of anime style cartoons. Furthermore, he explained that this would usually take part in the form of a big joke, and they weren’t actually aware how uncomfortable it made him. He opted to spend his lunchtime in the secluded halls of our school with two close friends, hoping to avoid these other students. When I asked why he didn’t approach me during our campaign he said: “How could I? Some of the people helping with the anti-bullying campaign were the very guys that kept bothering me”. The truth is that despite the anti-bullying efforts, individuals like this younger student will never feel entirely welcomed in their school. The pervasive nature of different types of bullying perpetuates a sense of ‘othering’ in its victims and disengages them from their school community. During another conversation, a student told me that the only reason teachers were willing to listen to my ideas was because I was a class pet. He felt they didn’t actually care about students and were just there to collect a paycheque. His remarks revealed an inherent cynicism within an alarming amount of students who view school staff as antagonists. When the feeling of exclusion is juxtaposed with a cynical view of the school system, some students tend to view school as a necessary evil and limit their experience with education to all that is mandatory. If they don’t have to do it, they won’t do it. From my observation, I often felt that it spurred the apparent antagonistic view that some students had of our education institution. How can you get engaged with a system that you feel is working against you? Finally, a good friend of mine once asked me how I had the time to participate in so many extra-curricular activities, with the burden of work, volunteering (40 hours or more) and of course, being a full-time student. I replied “efficient time management”. Though I had been working two part time jobs myself during my senior year, she explained that she was working 25 hours a week at two jobs in order to pay for school. It became rather obvious that student engagement could not justifiably be a priority for her. Evidently, another contributing factor to preventing students from being engaged was their socio-economic status. This last point is extremely important to me. The genesis of my involvement came from an eye-opening summer trip to my home country of Rwanda, which allowed me to understand how truly lucky I had been in life, and how important it was to give back in my own modest way. Though I usually worked every summer, personal family obligations lead me to Rwanda, and I would later feel the financial burden of going almost a full summer without working. Some students simply can’t afford volunteering trips abroad, to complete more than the required 40 hours minimum of volunteering to graduate, or even to attend club meetings on weeknights and conferences and forums on weekends. During my senior year, I realized that I always ran into the same people when it came to student engagement activities. Regardless of whether it was at a local, provincial or national level, I either already knew a great number of the participants or found that we had a few friends in common. The practice of student engagement tends, at times misguidedly, to attract typical “student representatives”. People who feel motivated to participate in their educational communities, do well in school, who feel optimistic about the changes they can bring about, and who are lucky enough to have the time to focus on some, or all of these activities. By no means am I suggesting that all student leaders are financially well-off intellectuals, simply that they are in some cases luckier than other students who can’t afford to take time away from work or their studies. The irony lies in that fact: those who are placed to solve the problem of student disengagement are the very students who are most engaged. The question still looms, is there really a solution to engaging those students? These three conversations made me realize, albeit belatedly, that we have to re-examine the root causes of disengagement. The three students I spoke with would have, in my opinion, been better suited to try and solve these issues. They simply understood them in a way that I never really could, through personal experience. In my opinion, being a student voice practitioner must, now more than ever, be focused on identifying these students that are disengaged and finding a way to bring them to the discussion table. Focusing on the archetypal student leader is certainly beneficial, but can have its restrictions. Though seemingly productive, it can perpetuate a homogeneous circle of ideas, which fail at attacking fundamental causes of student disengagement. Today, students have more power to influence their educational environment than ever before. When speaking to a former teacher of my experience on MSAC, he quipped that he had been a teacher for 25 years and had never once found himself in the same room as the Minister of Education. His comment was an unheralded reminder of just how far we as students have come. In such moments, one can’t help but think of Nelson Mandela, who once espoused, “Education is the most powerful weapon which you can use to change the world”. Before truly changing the world through education, we have to be more inclusive and prioritize the disengaged. 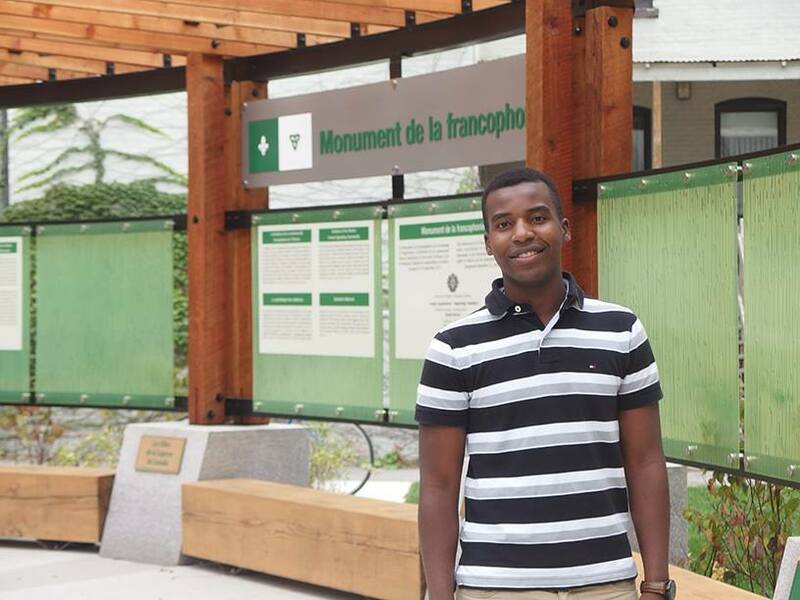 Patrick Twagirayezu is a student at the university of Ottawa studying Law and Political Science. He has been an active member of his community for many years. In education, he served as a member of MSAC Cohort 4, student trustee, and as President of the Francophone student trustees of Ontario. He is currently co-founder and president of Capital Youth Initiative, which aims to reduce youth poverty is the city of Ottawa.